Take Back the Night is a yearly international protest founded in 1976 which seeks to raise awareness about the realities of sexual violence on campus and in the community, both for survivors of sexual violence and those who want to support and bear witness in solidarity. Take Back the Night is a survivor-centered event that begins with a Rally in the EMU Amphitheater, continues as a March through the streets of Eugene to symbolize reclaiming people’s safety on public streets at night, and ends with a Speak-Out in the community during which survivors and their allies can share personal stories of how sexual violence has impacted their lives. 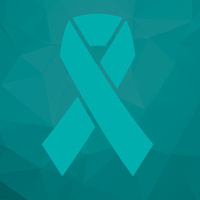 TBTN is organized by the UO Women’s Center in coalition with Sexual Assault Support Services of Lane County (SASS) and the University of Oregon Campus Community. What are the 10 Points of Light? On the last Thursday in October and again in April, TBTN holds a global event in ten locations around the world. These communities unite to demonstrate their support for survivors of sexual violence through speeches, marches, performances, and vigils. View our past 10 Points of Light Locations.